In March 1988, Gallaudet University experienced a watershed event that led to the appointment of the 124-year-old university’s first deaf president. 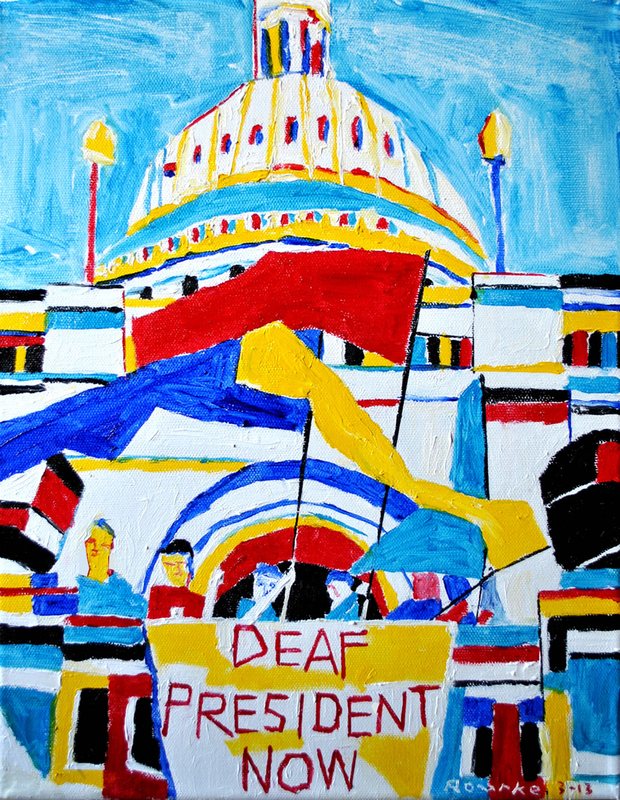 Since then, Deaf President Now (DPN) has become synonymous with self-determination and empowerment for deaf and hard of hearing people everywhere. A leader of the Deaf President Now protest will speak at William Woods University this week regarding equality for deaf people. Jerry Covell will make his presentation at 4 p.m. Thursday, April 16, in the Library Auditorium. The event, which is free and open to the public, is sponsored by Barbara Garrett, professor of American Sign Language Interpreting, and will be interpreted. extracurricular activities. He was tagged as the protesting students’ “spiritual leader” due to his fire-and-brimstone speaking style. 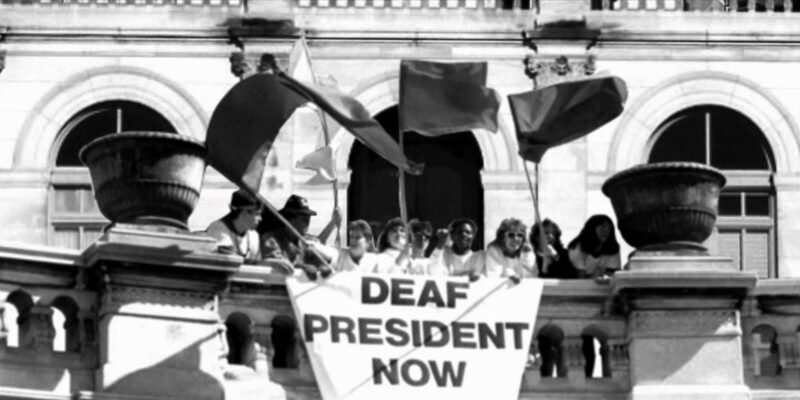 DPN sparked from a single event at Gallaudet University— the campus believed a deaf person would be selected as president. Instead, the board of trustees chose the only hearing candidate, Elisabeth A. Zinser, who was the assistant chancellor at the University of North Carolina, Greensboro. The students of Gallaudet were unhappy with this decision. Alumni, staff and faculty backed the students and actually shut down the campus. It was a peaceful and successful protest, resulting in Zinser’s resignation on the fifth day. 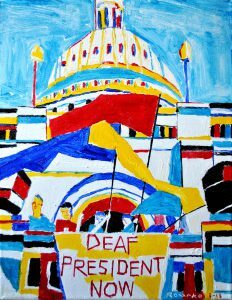 “The Deaf President Now focused only on Gallaudet University and the students’ demands: a deaf president, the removal of (Jane) Spilman as chair of the Board of Trustees, a 51 percent majority of deaf people on the Board of Trustees, and no reprisals against those involved. We accomplished all of that at Gallaudet,” Covell said. Covell received his Bachelor of Arts degree in American government from Gallaudet University and his Master of Arts degree in government and political science from the University of Maryland. The son of two deaf parents, his life experiences and struggles in both hearing and deaf environments instilled in him strong convictions related to the rights and responsibilities of deaf people as citizens, individuals, and as members of a unique and viable culture. 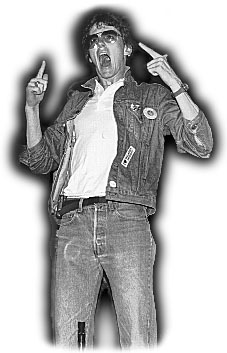 His commitment to equality of access and treatment for all deaf persons has been exemplified, not only during the peaceful and successful protest at Gallaudet University in 1988, but also through working with state legislatures, state agencies, organizations, and all other walks of life throughout his career. He has drafted, found sponsors, testified for, and successfully lobbied for numerous pieces of legislation that assures equality, respect, independence, and accessibility for all individuals with hearing loss in Missouri and Illinois. 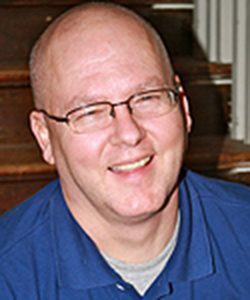 Currently, Covell is the coordinator of the interpreter preparation program at MacMurray College in Jacksonville, Illinois. He lives in Springfield, Illinois, and has two deaf children. He continues to give deafness-related presentations and make a direct impact on deaf individuals through advocacy. Junior Alyssa McManus of Belleville, Illinois, is one of many ASL students at William Woods excited for the upcoming event.